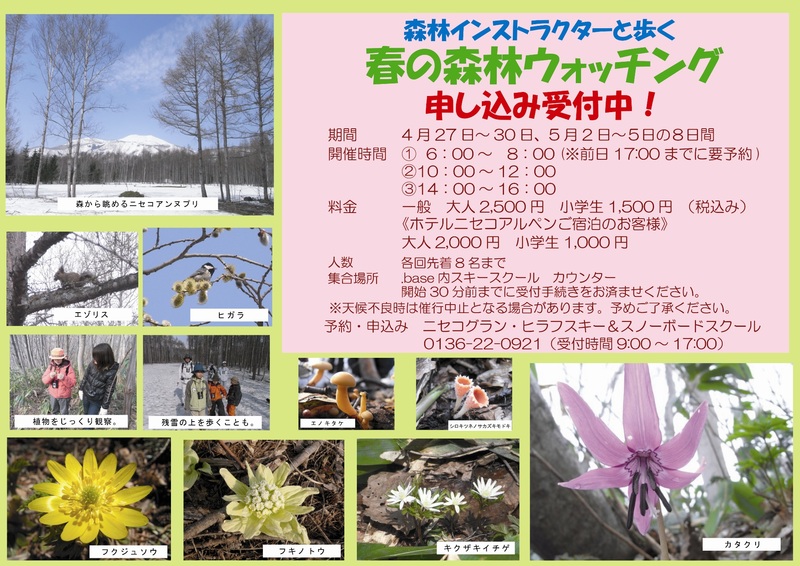 The annual Nature Tour will be taking place soon! Information Center “Ecol”, who is a fully qualified forest instructor. adjusted to your own personal pace. 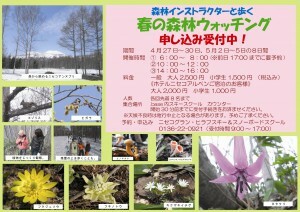 So how about setting off into the forests of Niseko in search of Spring? *Please contact us if you have pre-school children who want to take part. (Adults: 2,000 yen, Elementary school students: 1,000 yen). *Please pay fees on the day of the tour, in cash or by credit card. *Please apply for the Early-morning tour by 17:00 on the previous day. minutes before the tour starting time. *Tours may be canceled due to bad weather conditions. 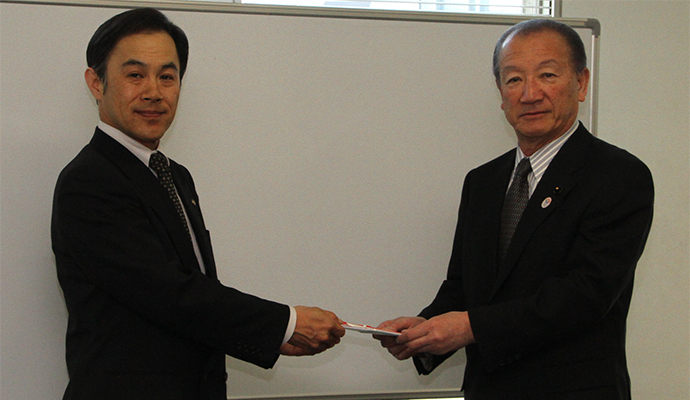 On April 15, 2014 (Tuesday), Mr. Takashi Koshida (pictured left), representative managing officer of Tokyu Resort Service Co. Ltd., visited the headquarters of the Ski Association of Japan (SAJ) in Shibuya, Tokyo, and delivered a certificate of donation to Mr. Yoichi Suzuki, president of the SAJ (pictured right). 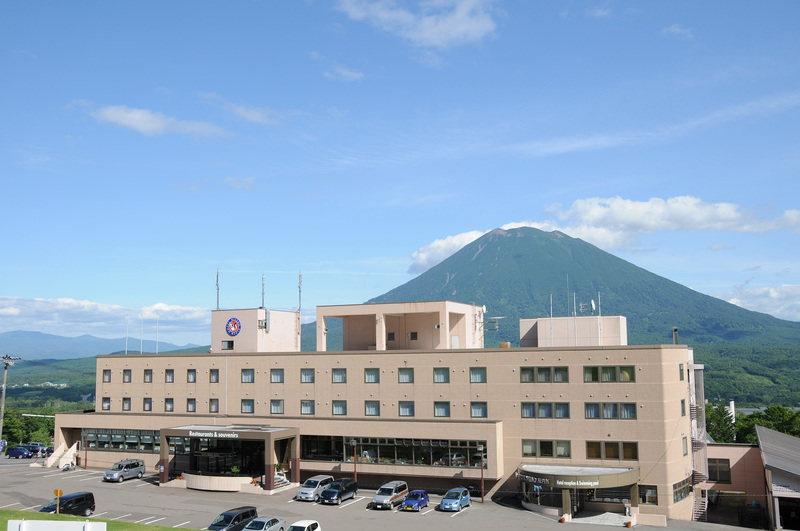 This donation of part of Tokyu Resort Service’s lift ticket sales for the 2013-14 season to the SAJ, for purposes including training of the Japanese national team’s athletes, was made official with a ceremony that took place prior to the meeting of the SAJ’s board of directors. Additionally, part of this season’s sales of the “Tokyu Snow Resort Common Lift Ticket”, also handled by the SURF&SNOW website, was also donated via the SAJ-managed “I LOVE SNOW” campaign. Many people were deeply moved by the medal-winning performance of the SAJ’s athletes who represented Japan in various ski and snowboard events, especially jumping, at the Sochi Winter Olympics held in February this year. 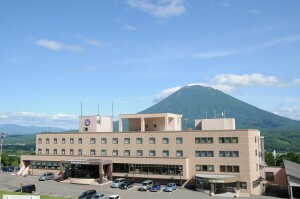 Tokyu Resort Service’s donation project was motivated by the goal of helping to train and support these athletes. For the competitors who battle it out on the global stage and for athletes aiming towards future Winter Olympics, united actions by the winter sports industry such as this will surely help the Japanese athletes of the future in their activities. “We felt that we wanted to do something useful with our position of involvement in the skiing business. We hope that this donation will help to strengthen the national team and support the athletes”, said Mr. Koshida. President Suzuki gave thanks for the donation, saying, “We will utilize this valuable funding to the best of our ability”.